The Step2 PACK OF2 Lifestyle Dream Kitchen unleashes imaginative play as kids cook and create in it! Toddlers and preschoolers will spend hours of fun make believing that they are cooking in their very own kitchen, just like mom and dad. 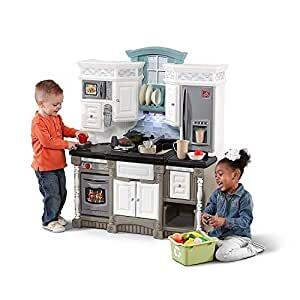 With plenty of accessories and electronic features, multiple little chefs can play together with this play set. Plus, its modern home decor will blend well with your child’s playroom or bedroom.